Once you accumulate wealth, it is about how you nurture and direct it. 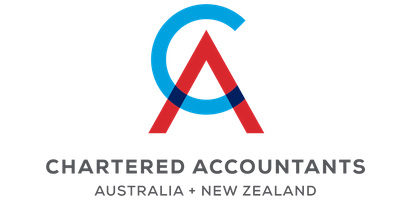 Minnik Chartered Accountants and our team of professional partners are here to help. We understand your short term goal is to pay the bills and support your family. Your long term goal is to achieve financial freedom to live the life you choose. We are here to help you understand, nuture and grow your wealth to achieve your personal and business goals. Healthy income years are limited. Rather than focus on this we are here to help you make the most of what you have to be supported in the short term and be successful in achieving your long term goals. Our mantra is to maximise your wealth while income streams are strong, and direct it wisely. The Minnik Team are dedicated to partnering with Tradie Businesses and their families. Building wealth through financial education and advice. Learn more by booking a Minnik Consult. Life is short. The years fly by. Imagine if you counted all the money you have earned during years past, and then tried to understand where it went. You might then start to imagine what you could do with the money if you still had it. We encounter many people who spend everything they earn. They live life to the limits of their wallet. This happens not because life is expensive, which of course it is, but more so because the money is there to spend. If these spending habits continue for a long period of time, they can be very difficult to break. Particularly if all members of the family household have learned the same habit from each other. The word “Budget” to many families is generally met with resistance, as people either feel it is too confronting to get to know their own spending habits, or they simply feel that it will present a threat to their lifestyle. The downside to this is that the Family Budget is pushed aside, quite often until too many years have gone by and the opportunity to build surplus has passed. We encourage our clients to understand the importance of achieving surplus while their income is strong and rolling in. Your income is finite. In other words, it doesn’t last forever. During the course of your life you need to be constantly working on nurturing your wealth profile to create your own income. Before you can do this you must establish surplus, and this process is managed via the Family Budget. We are dedicated to assisting our clients to take control of their financial affairs, and accumulate surplus for wealth, by embracing their Family Budget. Using XERO basic ledger software, you can achieve this simply and cost effectively, with minimal time spent on management. Once you start to accumulate surplus, the idea is to utilise the surplus to establish your wealth profile. Generally the family home is the first material asset to be paid down, for the safety and security of your family. Thereafter you are well positioned to embark on your investment portfolio. Your investment portfolio is an essential element of your wealth journey. This is the vehicle that generates passive income while you are busy at work, and thereby enhances your wealth position. Your portfolio will ideally consist of a number of diversified assets that are expected first and foremost to bring capital growth over an extended period of time. The investment portfolio typically involves gearing, which means the acquisition of assets within is funded by lending. Interest payments associated with the loan are tax deductible on the basis that the function of the asset is to generate income. A loss on an investment asset is useful in minimising tax, which frees up further surplus that can be directed back into your portfolio. The tax benefits of gearing are secondary to capital growth, and the investments must be excellent performers to make the gearing process worthwhile. The idea is to consistently repay your investments over time, ultimately aiming for debt free assets by the time you reach retirement, ie your “non income years”. If this is achieved, you will have successfully created your own income, enabling you to continue to fund your lifestyle of choice. Clever investments together with a carefully structured financial plan lead to long term financial peace of mind, stability, and quality of life. The trick with establishing your wealth profile is to start as early as possible. Ideally in your twenties and thirties, certainly to be taking action by your early forties. Your investment portfolio is a long term path to wealth. It needs time to perform in the best way it can. We apply our wealth planning expertise to your circumstances with your very best interests at heart. We explore your goals and dreams, and assist you to implement the wealth strategies that will enable you to achieve them. Whether you are conservative, high risk, or somewhere in the middle, we listen to your needs to arrive at the most effective wealth path to suit you. Superannuation in past years has been a useful way for high income earners to save money in tax. This together with changes to super fund borrowing regulations has created a general trend towards the use of self managed superannuation funds (SMSF). SMFS is a complex and delicate area of legislation. Word on the street tends to make the SMSF sound like the “way to go” for everyone. The reality is, the SMSF is not for everyone and it is imperative that investors understand the pros and cons of adopting this structure, relative to their own circumstances. We consider our client’s affairs in their entirety and recommend the self managed super fund only after all associated risks have been ruled out. In certain situations the SMSF presents a number of benefits from an investment and tax perspective, particularly for business owners who have high net wealth. In other situations, the SMSF can be the most ineffective, risky and costly structure to be considered. We provide SMSF advisory services to clients that are suited to this investment structure. If a self managed superannuation fund is recommended by us after careful review of the clients financial and personal affairs, we provide full SMSF management services. This includes SMSF setup, bookkeeping, taxation and compliance, and external audit for guaranteed independence. Our wealth fundamentals review covers off these areas so you have the confidence to move ahead on your wealth creation journey. What are your personal and financial goals? What are the roadblocks to success? How do I know when I have succeeded? A comprehensive plan also explores more complex options such as self self-managed super funds, borrowing to create wealth and scenario modelling on how to get you there with as little risk as possible. Our preferred asset allocation approach is to use dynamic asset allocation. With this approach the proportions of growth and defensive assets are actively adjusted in line with changing economic and investment conditions. This is a continuous process behind the scenes and is different to traditional approaches which tend to have a long term set and forget approach. 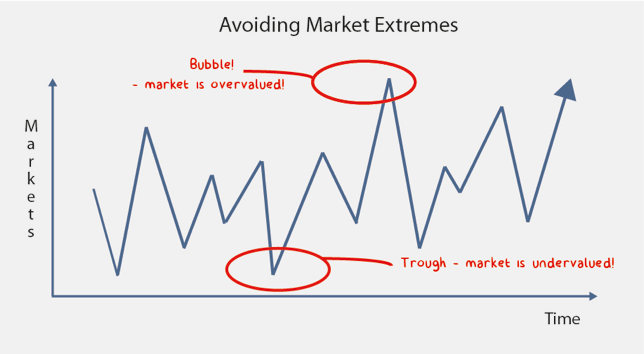 The overall aim is to avoid to extremes of market conditions by trying to avoid market “bubbles” and aim to help smooth out returns and manage volatility in an active way. Complexity and “sophistication” doesn’t guarantee higher returns but fees may be higher. We look past the property or shares debate. Whether the portfolio is big or small Investing should start with the end goal in mind and then work backwards and look for the most appropriate solution to achieve. We consider the best approach for each client on a tailored basis, be it direct shares, Exchange Traded Funds (ETF’s), managed funds, property or alternative assets. Finding the right mix of assets will help avoid market extremes and the tendency to make decisions based on emotion.